Look good, feel good and do good! King Louie is committed to sustainability. We work hard to make our collection more sustainable every season. 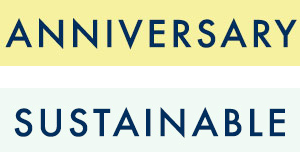 We use sustainable materials such as organic cotton, Tencel yarns and recycled polyester. This way you can wear your sustainable dress, top or cardigan with comfort, enjoyment and satisfaction. In our sustainable collection you will find many different types of items. We have dresses, jumpsuits, tops, sweaters, pants, cardigans and more of sustainable materials. Organic materials can be processed into different types of materials. Sweat fabrics, soft velvet or thin jersey, everything is possible. Discover our sustainable collection of vintage inspired clothing and contribute to a better world.